Sometimes you just want to snuggle up with your kids on the couch and watch a show, but there is so little on TV these days that is family friendly enough that you can feel comfortable watching together. I don’t even really like the teen shows on the Disney Channel because I start hearing the same attitude of the teens on the show spewing out of my children’s mouths and I don’t love that. And I certainly can’t stomach actually watching those shows myself when I have a million things I need to get done running through my mind. 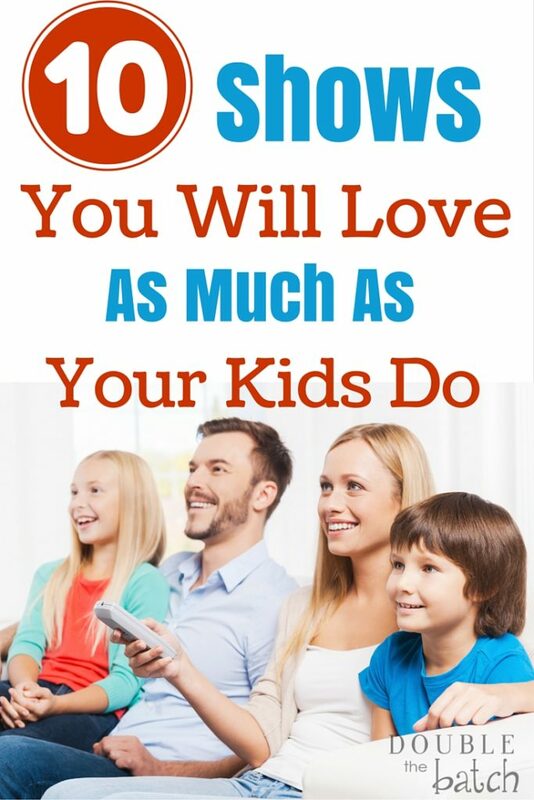 So, I’ve been trying to find shows I could truly enjoy watching with my kids to pull me out of my to-do list and into a fun bonding experience with them. 2- Studio C– Think Saturday Night Live with absolutely no questionable material whatsoever. This group out of BYU is hilarious and their skits will have the whole family laughing together. Your kids will be quoting this show on a daily basis. My 9-year-old daughter actually chose Studio C as the theme for her birthday and it was a blast! You should definitely check it out. Here are a few I suggest you start with on YouTube. But it is on the BYU channel if you can find it in your cable line up. 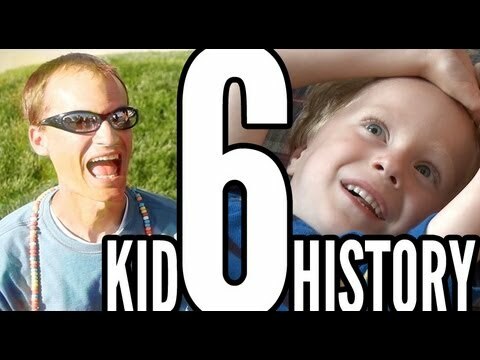 3- Kid History from Bored Shorts TV on Youtube. A group of friends who record their kids telling stories that they have told them, then the adults act them out lip syncing to the kids voices. You just have to watch to understand. This is my absolute favorite! 4- Brian Regan. If you have not yet experienced the brilliant, clean, slightly quirky comedy of Brian Regan- you are missing out! My children quote his stand up all the time, and he has our whole family in tears from laughing so hard when we watch him together. He is a rare family friendly find in the comedy industry. Check him out! 5- North America on the Discovery Channel. Fascinating footage of the animals and landscape of North America that will have you and your kids captivated. Entertaining and educational is always a great combination. 6- Unwrapped from the Food Network and the spin off Unwrapped 2.0 that is currently on the Cooking Channel. This show explores how all your favorite food, candy, and snacks are made. Very interesting and fun for kids as well as adults. 7- Mythbusters on Discovery Channel. An oldie, but a goodie that returns in 2016. Watching these fellas prove or bust myths is fun for the whole family. 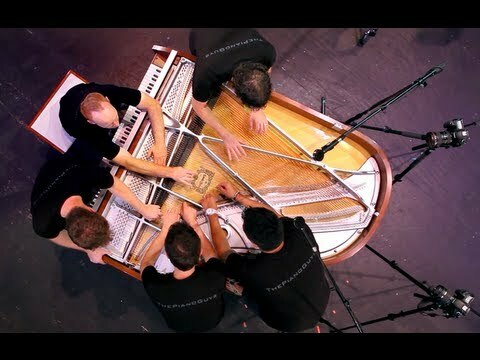 8- The Piano Guys. Putting the cool back in orchestra, one video at a time. 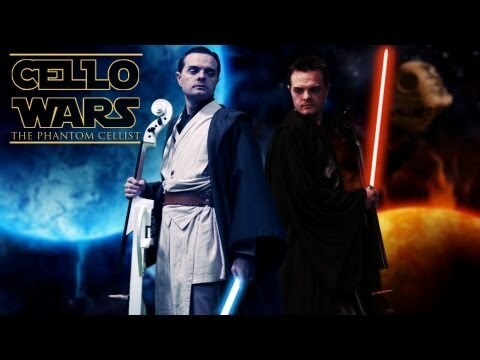 The Piano Guys entertain with their fantastic arrangements and creative performances. They transport their piano and cello to remote locations that bring their songs to life. We can’t get enough of these guys at our house. 9- Planet Earth from BBC. This series has been around since 2006, but most kids probably haven’t seen it. Amazing film work captures the wonders of this planet. A great show for the whole family. You can buy the full series here. 10- Once Upon a Time on ABC. I am only now discovering this modern-day, non-animated, fairy tale character based show by the makers of Lost that is about to premiere its 5th season. I will get back to you with my opinion on it after I’ve seen more of it, but it looks promising! What have I missed? Tell me all your favorite family friendly shows to watch as a family!